Your immune system is on duty 24-7. A team of specialized immune cells are always vigilant and ready to go to battle against foreign invaders, like bacteria, viruses, fungi or tumor cells, at the first sign of “trouble.” The purpose of this carefully orchestrated immune response is to protect your body against infection and disease. When your immune system does its duty properly, you successfully “fight off” that cold or influenza virus that’s circulating around the office and are able to carry on with your life without the cough and sniffles everyone else seems to have. Unfortunately, a number of factors can “weaken” your body’s ability to mount an immune response, some of which we’ve discussed in previous articles. For example, good nutrition, proper supplementation, adequate sleep and moderate amounts of exercise are all positives for immune health. Stress, unhealthy diets and late nights spent in front of the computer instead of sleeping interfere with your body’s ability to mount an effective immune response – but these aren’t the only factors. Here are things that can weaken your immune system you may not be aware of. It’s always better to stay healthy and avoid medications whenever possible. That’s because most medications have side effects. Some can even disrupt the activity of your immune system and place you at greater risk for infection. An example is a group of medications called corticosteroids, including prednisone, which is used to treat allergies, inflammation and autoimmune diseases. This group of medications works by blocking the immune response. Even inhaled corticosteroids that asthmatics take to treat an asthma attack increase the risk of fungal infections due to their immune suppression. Other prescription medications, including a class called TNF inhibitors, used to treat diseases like psoriasis, inflammatory bowel disease, among others, also suppress the body’s ability to mount an immune attack. Drugs used to treat multiple sclerosis and cancer chemotherapy medications also reduce your body’s immune response to foreign invaders. Immunosuppressive drugs used in transplant patients to prevent rejection of the transplanted organ also suppress immune function and increase the risk of infection. A glass of wine daily may be beneficial from a health standpoint – but not a whole bottle. Red wine contains natural antioxidants that may protect cells against oxidative damage – but don’t overdo it. A study in mice showed alcohol is toxic to immune cells called dendritic cells that initiate the immune response. Dendritic cells exert their immune benefits by “present” foreign proteins to T cells so they can recognize and clear them. Alcohol also appears to reduce the function of T cells, cells that are essential for healthy immune function. Interestingly, alcoholics don’t respond as well to vaccines, possibly because they have a sluggish immune response. It might feel good to lie in the sun or in a tanning bed, but too much exposure to ultraviolet light could weaken your immune system. A study carried out in mice showed exposure to ultraviolet light, like that from the sun, reduced the activity of T cells involved in the immune response. People are more predisposed to reactivation of the virus that causes cold sores when they’re exposed to sunlight, likely due to suppression of immune cells by exposure to sunlight. On the plus side, some sunlight exposure has benefits because it increases vitamin D, a hormone-like vitamin that’s important for immune health. The key is to avoid tanning beds and limit sun exposure to 10 to 15 minutes several times a week. By far, eating a healthy diet, taking the right supplements, avoiding stress, getting adequate sleep and moderate amounts of exercise is most important for healthy immune function but these factors play a role too. Stay healthy and keep your immune system healthy too! If you want to build your immune system into an efficient, powerful disease fighting machine, then you must try BioPro-Plus™! This supplement is all natural and is the same bio-identical protein that your body produces until about the age of 40. 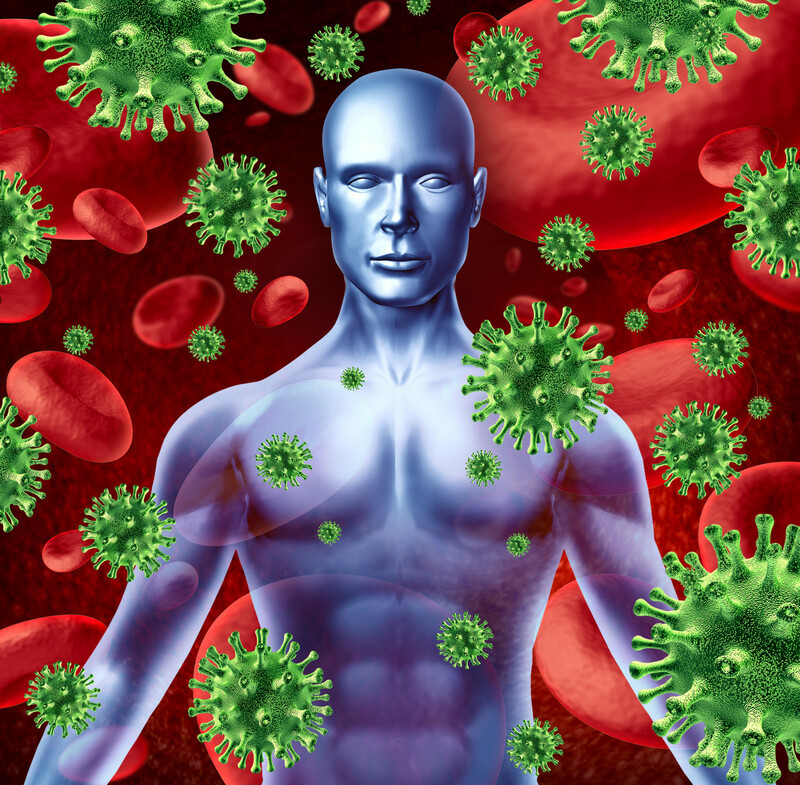 You can supercharge your immune system to be able to fight any illness or pathogen naturally. Don’t wait another minute, start building your immune system today with BioPro-Plus™! Am. J. Pathol. Apr 2008: 172(4): 993-1004. Ann Neurol. 2014 May;75(5):739-58. doi: 10.1002/ana.24165. Epub 2014 May 13. Need assistance? Call toll free at (855) 424-6776 to speak with Customer Service.